Just about anyone knows – cigarettes smell!! It’s their hallmark. Scent from cigarette smoke gets into, and clings, to just about anything it comes in contact with – hair, clothes, your car – anything. Not only does the odor cling, many consider cigarette smell offensive and avoid close contact. If you’re a smoker, you don’t notice it so much since you’re immersed in it all of the time. To non-smokers, and especially ex-smokers, this smell is very noticeable. One reason cigarette smoke smells so bad is because you’re burning tar and chemicals in addition to the tobacco itself. Properties from burning these substances make them cling to clothing, hair, walls, furniture, etc. E-cigarettes on the other hand do not have this ominous odor because instead of exhaling smoke, you’re exhaling a vapor that evaporates almost immediately. Customers and non-smokers/vapers report the smell from an e-cigarette to be either nonexistent or reminiscent of cotton candy or even pop tarts!! Whatever it is, e-cigarettes certainly smell a whole lot better than traditional cigarettes. If you’re a smoker reading this, you can certainly relate to this point – cigarettes are expensive these days. In 1980, you could buy a good quality pack of cigarettes for $1. By the 90s, the cost had risen to $2, on average. Today, a good quality pack of cigarettes will cost you anywhere from $7 to $12 depending on which state you’re in. Some of this increase in cost can be attributed to regular inflation or rising prices of production (tobacco) and even distribution (fuel). Taxes however play a big role too. In 2009 for example, the federal tax was raised from $0.39 to $1.01 per pack. Add state taxes, which vary, and taxes end being around 20% of the cost of a pack of traditional cigarettes. Between all of this, a pack-a-day smoker can spend upwards of $300 each month! And this doesn’t include the cost of other incidentals such as lighters, ash trays and much more. E-cigarettes do not share this dilemma. While some of the entry costs of a starter kit may be a little bit higher, the month-to-month cost of electronic smoking is typically about half when compared to traditional cigarettes. Cartomizers and batteries constitute the bulk of this expense, which can range anywhere between $20 and $40 depending on how much you vape. Currently, e-cigarettes are not subject to any sort of taxes like traditional smokes are. Also, as the technology develops and becomes more mainstream, the cost will continue to decline (…think cell phones, DVD players, etc.). Since you’re “burning” tobacco, not to mention using an open flame to light it, traditional cigarettes by default pose serious fire hazards. Cigarettes are in fact the #1 cause of fire-related death in the United States and 7 other countries. Worldwide, fires started by lit cigarettes constitute 10% of all fire-related deaths. With e-cigarettes, you’re not burning an open flame and don’t have a hot cherry that can burn you, your clothes, your furniture, and so on. There was an incident where an e-cigarette exploded in the user’s face in early 2012. It was determined though that the particular unit the person was using was a “mod,” which is a way vapers can alter their devices for more power that involves stacking the batteries. When used as intended, there have been no reports of an e-cigarette exploding. While we can’t make the claim that e-cigarettes are healthier, we can point out how traditional cigarettes are harmful to your health. You don’t have to take our word for it – there are countless studies out there showing how smoking traditional cigarettes can put you at a higher risk of a whole host of conditions, including (but not limited to) – stroke, heart attack, lung cancer, throat cancer, pneumonia, osteoporosis, Alzheimer’s, and countless others. Traditional cigarettes contain a litany of chemicals as well, many of which are considered carcinogenic, or cancer causing. Many of our customers have reported feeling better physically after switching to electronic smoking. Last but not least are the social impacts of traditional cigarettes, which is in a way related to reasons one through four. Over the years, smoking has increasingly been viewed negatively by society at-large for a variety of reasons. The smell, the health consequences, and even the healthcare costs all combine to give traditional cigarettes a bad name these days. If you’re a smoker, you’ve certainly noticed an increasing amount of restrictions around where you can light up, even at private parties where the host is a nonsmoker. Also, traditional cigarettes can have impacts on your social life, literally. Take dating for an example - it’s pretty rare for a nonsmoker to be with a smoker. Also, smoking can also impact job prospects since more employers are taking a more critical eye toward traditional cigarettes. As you can see, e-cigarettes and electronic smoking carry many benefits over traditional smoking. Many have discovered how they can still enjoy smoking and get the nicotine they crave without using methods that are increasingly seen as intrusive and irresponsible. 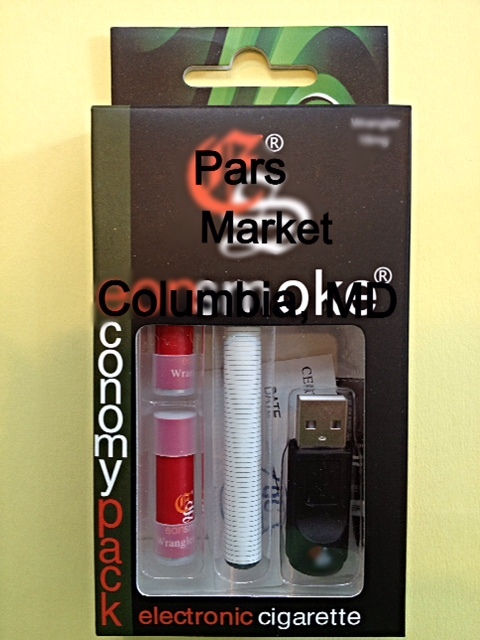 E-cigarettes from Pars Market provide this alternative in a cost-effective, easy way. If you’re searching for that alternative, consider trying one of our wide selection of E-Cigarettes we carry in our store or take a look at our selection of e-cigarette starter kits today! 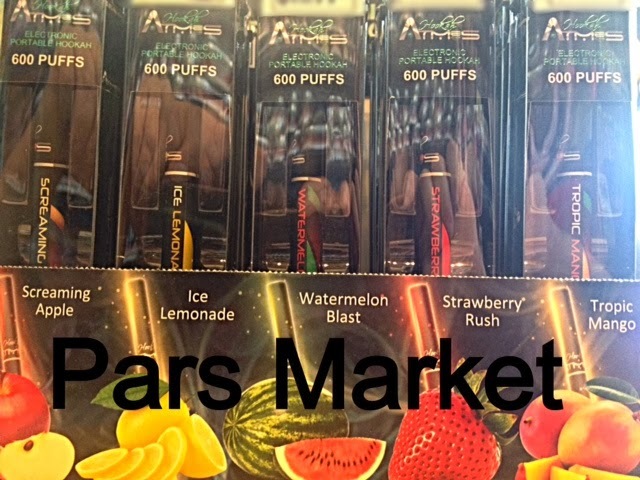 Now you can find all of the Traditional Hookah Flavors in the same little stick at your favorite Hookah shop in Maryland at Pars Market, These things are hugely popular right now and selling very fast specially the Starbuzz Brand E-Cig so I thought I’d open a page under my Hookah page in my website about them. Enjoy the taste of E anywhere in the palm of your hand! This is a tobacco-free way to enjoy the most popular flavored Hookah on the go! These cigarettes-shaped device produces a flavored smoke-like vapor similar to a real cigarette but without the fire, ash, odor, or chemical substances. Each E-Cig will last up to 500-600 puffs or equal to up to 2 1/2 pack of Cigarettes or more! Pull the red tab on the side of the E-Cig. Press the activator button on the side and enjoy up to 500-600 puffs! Note: You must be 18 years of age to purchase this product at Pars Market. E-hookah has several change modes. Its lithium battery can be recycled, reducing use-cost. E-hookah is portable and can be used in ban smoking public. Integrated cartomizer can be changed whenever, offering different taste. E-hookah can Vapor up to 800 Puffs. Why do we choose e-hookah? Easy operation, portable, simple assembling, power directly from battery. Safe, clean, environment friendly, no passive smoke. More than 100 flavors, plenty choices. No harmful substances, healthy and green. Easier For Travel – These things are about the size of a normal cigarette, so they literally fit anywhere and you can smoke them everywhere since it’s not real smoke. Yes, even at the beach, park, or movie theater. People might give you looks or say something but you aren’t breaking the law so no worries. No Lighting Coals – Again, its all battery operated, so no more spending a half hour trying to get a coal burning properly. No Cleaning – Since there is no actual hookah involved, there’s nothing to clean! No Tar – As mentioned above, all you inhale with these is vapor and there is no tobacco involved, so tar is no longer a concern. A glycerin-based flavor cartridge, which contains 12 mg of nicotine. An atomization chamber and smart chip with a lithium battery. An operating LED indicator light that lights up when you press the activator button, just like how a real cigarette gets red at the tip while smoking. By now You might have all heard of those e cigarettes that sold at Pars Market, little battery operated sticks that give you the ability to smoke water vapor instead of actual smoke. This way people can get their nicotine on without the nasty tar. Tropic Mango - A Tastefulness flavor of Mango. Screaming Apple - A fresh sweet red apple with an enjoyable Taste. Ice Lemonade - A Cool, sweet and refreshingly lemonade. Watermelon Blast - A fresh,sweet and juicy watermelon that you can enjoy. Strawberry Rush - A blast of Sweet Strawberries with an exciting taste. In order for someone to switch brands or consider alternatives, they need to clearly see the benefits of the new approach. E-cigarettes are no different. Many, if not the vast majority of those interested in electronic smoking, are current smokers. Chances are you’re one of them – searching for an alternative but wanting to understand the benefits of switching from your current brand. We invite you to continue reading for 5 of the leading benefits electronic smoking has over traditional cigarettes…these benefits were discovered from customer feedback as well as numerous scientific studies examining both traditional and e-cigarettes. E-cigarettes are very easy to use. They have nicotine like regular cigarettes but instead of smoke, you are inhaling vapor. The vapor is a form of water mixed with the flavored tobacco, so you can actually can taste the flavor. Today’s flavors have a wide range from traditional tobaccos to fruits and coffee flavors. E-cigarettes are a great alternative to traditional cigarettes including different flavors. E-Hookah are similar to the E-cigarette but some differences. Some differences are E-hookah have a more powerful smoke, which you can blow larger clouds. Also, E-Hookah has more variety of flavors than the E-cigarette which you might prefer. Now and days, there coming out with rechargeable for both, which is convenient because you can keep that flavor you like. In conclusion, those are the major differences between E-cigarettes and E-Hookah. Check these products at Pars Market in Columbia, Maryland. Very good experts at explain the hookah products in the market today with always new stuff. The researchers randomly tested 657 smokers. They then tested how many people had abstained from smoking after six months. The rates were 7.3 % with nicotine e-cigarettes, 5.8 % with patches, and 4.1% with placebo e-cigarettes. This "suggests such short-term e-cigarette use is of low risk. However, longer-term use requires more research," the authors said. If you haven't tried electronic cigarettes, we encourage you to give them a try to see if they can improve your smoking experience. New models can last up to 20x longer than traditional e-cigs. No more ash, or offensive odors on your clothing and hair. Save thousands per year vs. traditional tobacco. Smoke anywhere. 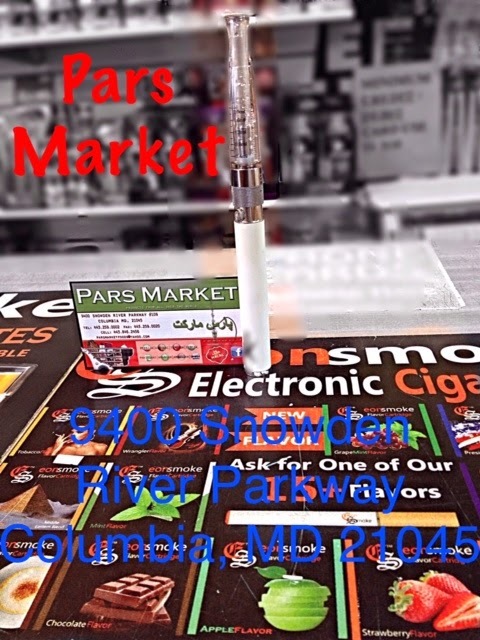 @ Pars Market E-cigarettes range from 4mg-24mg. Also, Some come in different flavors and rechargeable. The Atmos E-Hookah holds up to 600 puffs providing reasonably extended vape- sessions. Each E-Hookah is prefilled with rich flavor for great vapor, taste and aroma. The Atmos E hookah is easy and ready to use requiring no assembly or no charging prior to usage. Pars Market has compiled some helpful tips to improve the longevity of your e cigarette battery. Make sure you don't leave your e-cigarette battery charging longer than the recommended time. Leaving your battery charging for a longer time will slowly deplete the lifetime of your battery. Always keep eliquid away from the battery connector. Always refill your cartridges and clearomizers separate from your e cigarette battery. Getting eliquid inside the battery connector will destroy your battery and will also void your 30 day warranty. Do not leave your battery in extreme climates. This includes leaving your battery in you car. Leaving your battery in your car, especially on the USB charger, can be potentially dangerous and destroy it. Avoid dropping your battery. Your battery is make from the same material as your cell phone and laptop computer. If you drop your cell phone or laptop there's a high possibility it will no longer work, same goes with your e cigarette battery. Always use the same brands and equipment. Do not use different brands. For example, USB charger to charge your EONSMOKE e cigarette battery. Not all e cigarette companies use the same parts. Using a different brands USB charger to charge your ecigarette battery could destroy it. Be sure to periodically clean your battery connector with a cotton Q Tip and rubbing alcohol. Often, when a client returns their products for battery problems, there's a blockage to power up. Using a cotton Q Tip with rubbing alcohol, will prevent this and will save you a lot of time and money! 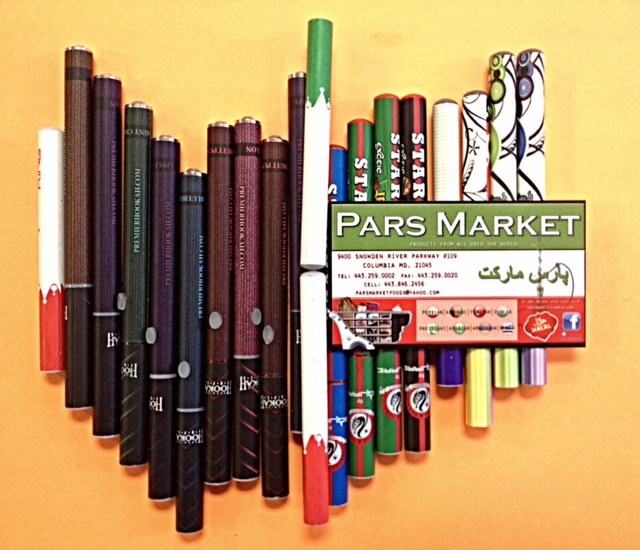 Please visit or contact us at Pars Market for additional Help! A new study published in the medical journal Lancet has found electronic cigarettes may be as effective as nicotine patches in helping people quit smoking. with nicotine patches, and few adverse events," the study found. The study was conducted in Auckland, New Zealand, between September 2011 and July 2013 by researchers from the University of Auckland, New Zealand health agencies and Queen Mary University of London.